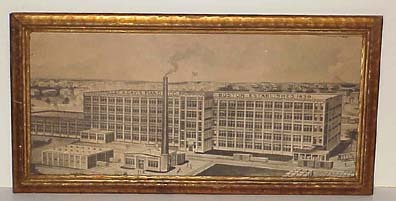 Hallet, Davis & Co. can trace its origins to the year 1835. It was among the oldest of the historic Boston piano companies. Many world-famous pianists have chosen Hallet, Davis & Co. as their favorite piano. The world-renown composer Franz Liszt played on one at the great Paris exposition in 1867. In 1911, His Holiness, Pope Pius X selected a Hallet, & Davis & Co. piano for the Vatican, and awarded the Hallet, & Davis Company a gold medal in recognition of the beautiful qualities of the instrument. Building a piano is a demanding and precise art. It is a task based on knowledge and experience, and on the devotion of the builders to an unswerving ideal – never to compromise quality. With the globalization of the world economy, Hallet, Davis & Co. found it impossible to build pianos in the United States because of the high labor costs. Due to the high man-hours involved in producing these pianos, they were forced, like many other piano manufacturers to move their production overseas. Hallet, Davis & Co. has partnered with overseas manufacturers to produce a high quality, aesthetically pleasing pianos at affordable prices. Hallet, Davis & Co. collaborated with these manufacturers to produce an impressive number of high quality pianos. 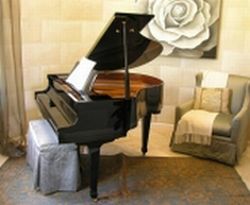 Grand pianos in both traditional and Victorian period styles. Queen Anne and Chippendale models are featured as well as Decorator Consoles and Professional Uprights. There are also Continental and Studio styles available in a myriad of beautiful veneers and finishes. We hope you will choose one of our Hallet Davis pianos for your playing pleasure. Hallet, Davis & Company - remarkable musical instruments - designed to meet the demands of even the most advanced pianists the world over.